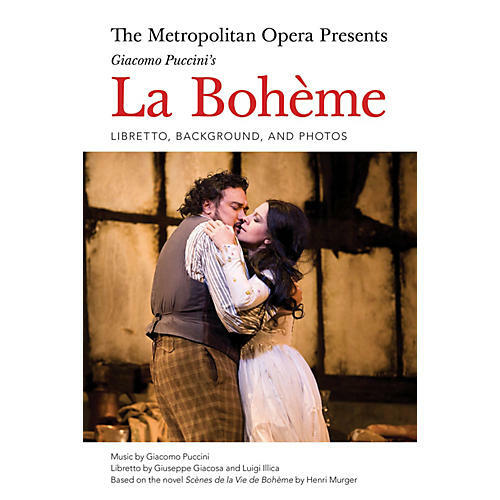 There's a reason La Bohème has been staged at the Met more often than any other opera: Puccini's enticing music perfectly conveys the enchantment of new young love and the anguish that comes with loss and death. La Bohème, the passionate and timeless story of love among impoverished young artists in Paris, can stake its claim as the world's most popular opera. It has a marvelous ability to make a powerful first impression (even on those new to opera) and to reveal unexpected treasures after dozens of hearings. At first glance, La Bohème is the definitive depiction of the joys and sorrows of love and loss; on closer inspection, it reveals the deep emotional significance hidden in the trivial things (a bonnet, an old overcoat, a chance meeting with a neighbor) that make up our everyday lives. This touching story of tenderness and tragedy never fails to move audiences and melt hearts. This gorgeous souvenir libretto includes extensive background notes and photos from productions through the years.